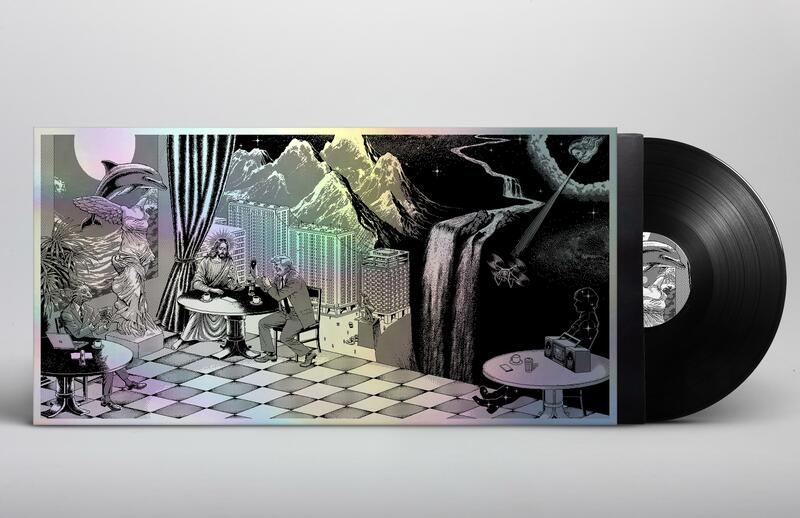 Deluxe vinyl comes housed in a 12"x24" holographic panoramic packaging. 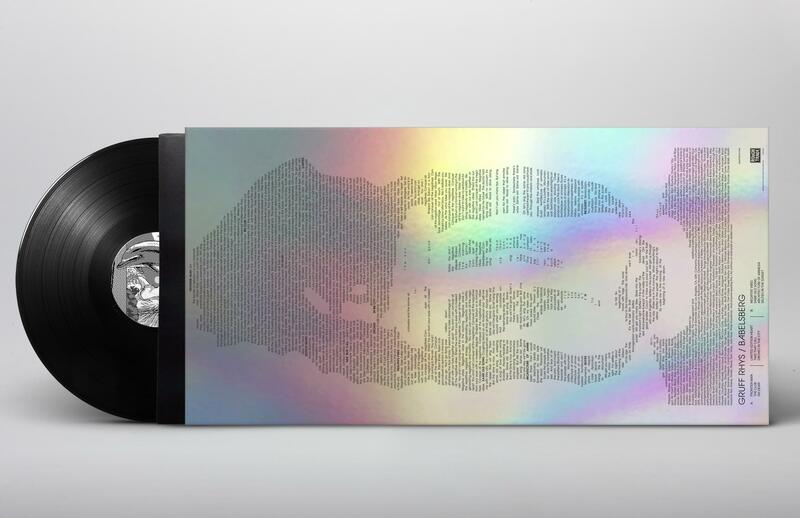 Limited to 500 copies worldwide. 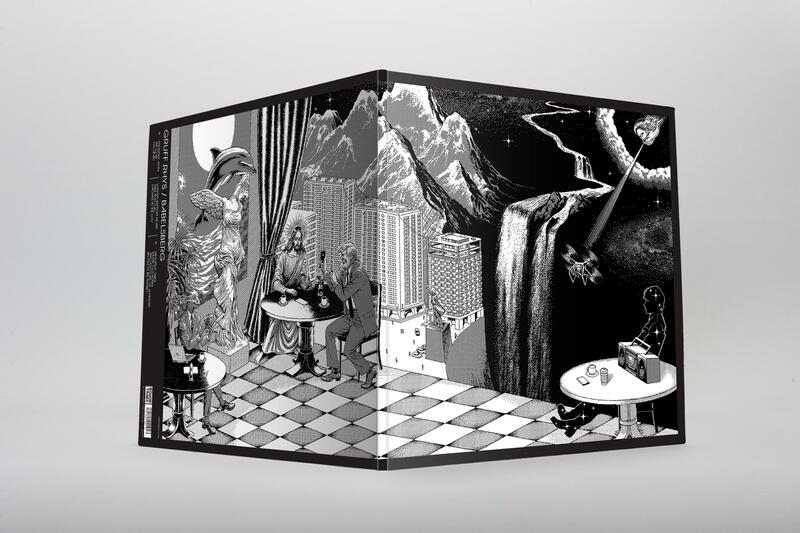 Babelsberg – the fifth album by Gruff Rhys – is the Welsh singer/songwriter’s very best work to date. That’s a pretty bold statement, considering the incredibly rich and deep back catalogue he’s amassed over the last twenty plus years (as a solo artist and as a member of both Super Furry Animals and Neon Neon), but in this case, it’s undisputedly true. Lean and laser focused, Babelsberg is a playful ten-song set that properly cements Gruff’s reputation as one of the U.K.’s true national treasures. Although recorded in a feverish three-day burst of activity early in 2016 with help from drummer Kliph Scurlock, Stephen Black (aka Sweet Baboo) and Osian Gwyneth, the record only came together late last year with the help of arranger Stephen McNeff and the National Orchestra of Wales. Their work on the record helped to create a lush backdrop for Gruff’s songs – lush, dreamlike and beautifully timeless. The result is something close to perfection, a place where Gruff found himself “in service to the song and the emotion above anything else” (Mojo). While the songs on Babelsberg are reflective of many of the 21st century’s damning injustices, in the hands of this ever-visionary lyricist, none of them are mired in the kind of gloom that the subjects deserve. Whether on the album opener’s encounter with the embodiment of boorish patriarchy (Frontier Man) or its hopeful paean to the idea of positive solutions to god awful situations (Negative Vibes) or the closer’s vain attempt to capture the perfect Instagram portrait as the apocalypse dawns (Selfies in the Sunset), Babelsberg effortlessly meshes Gruff’s uniquely poetic perspective to some of the most glorious melodies he’s ever written. Bold statements, we know. We’re confident you’ll be in agreement when you hear it.